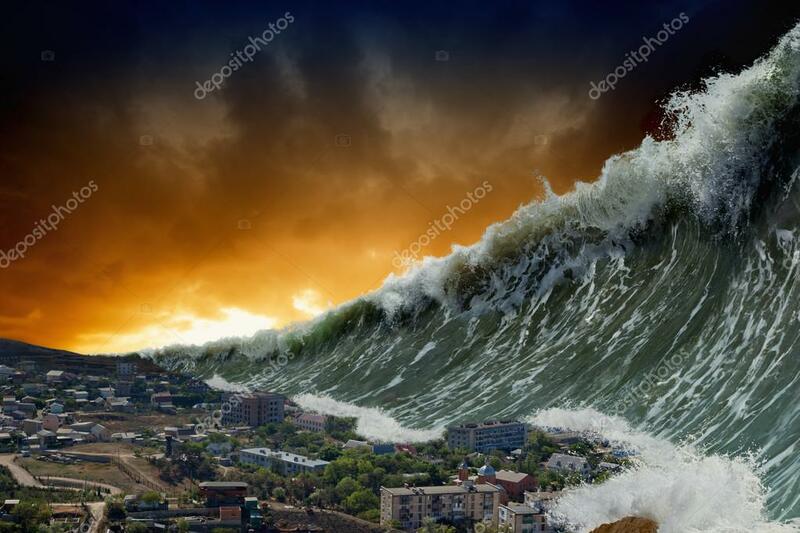 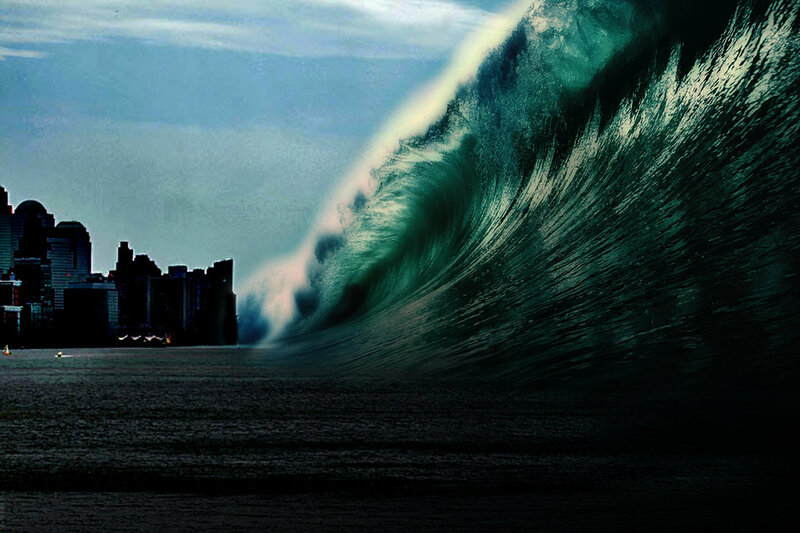 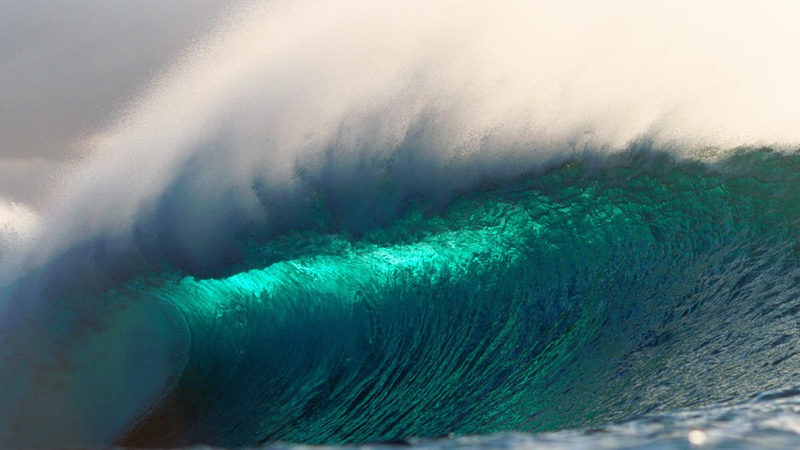 A tsunami (from Japanese: 津波, "harbour wave"; English pronunciation: /suːˈnɑːmi/ soo-NAH-mee or /tsuːˈnɑːmi/ ) or tidal wave, , also known as a seismic sea wave, is a series of waves in a water body caused by the displacement of a large volume of water, generally in an ocean or a large lake. 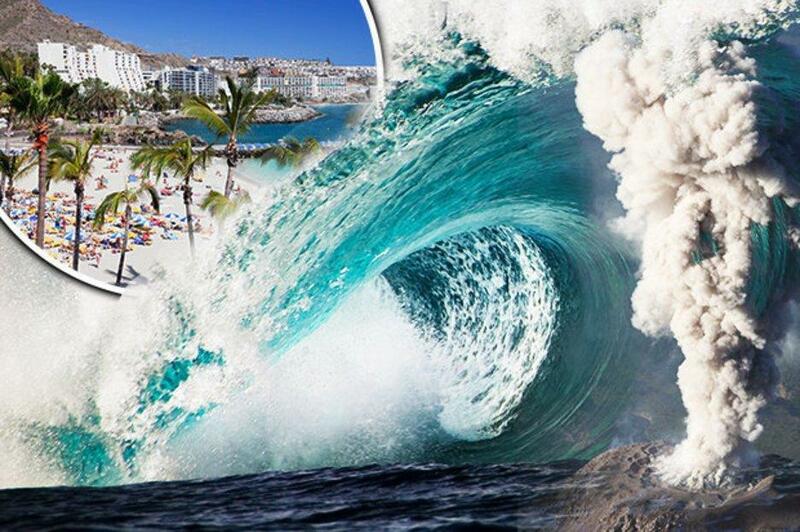 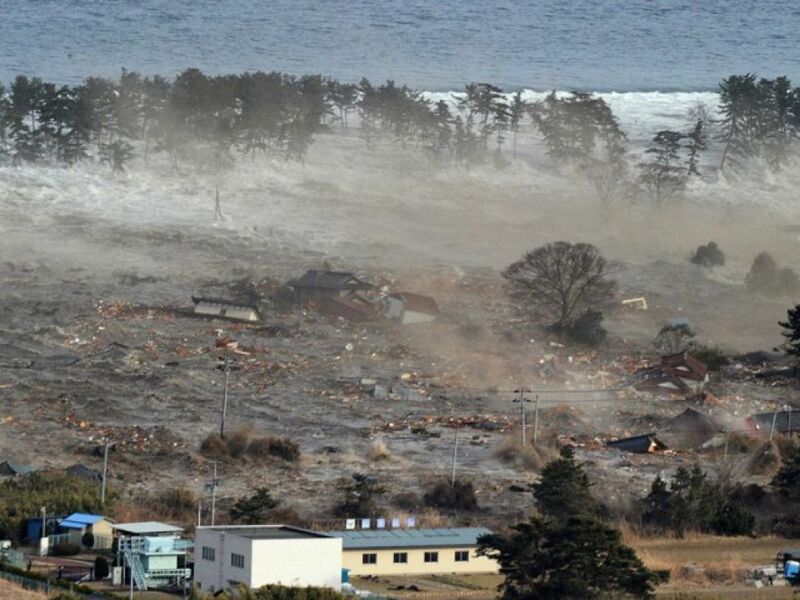 Earthquakes, volcanic eruptions and other underwater explosions (including detonations, landslides, glacier calvings, meteorite impacts and other disturbances) above or below water all have the potential to generate a tsunami. 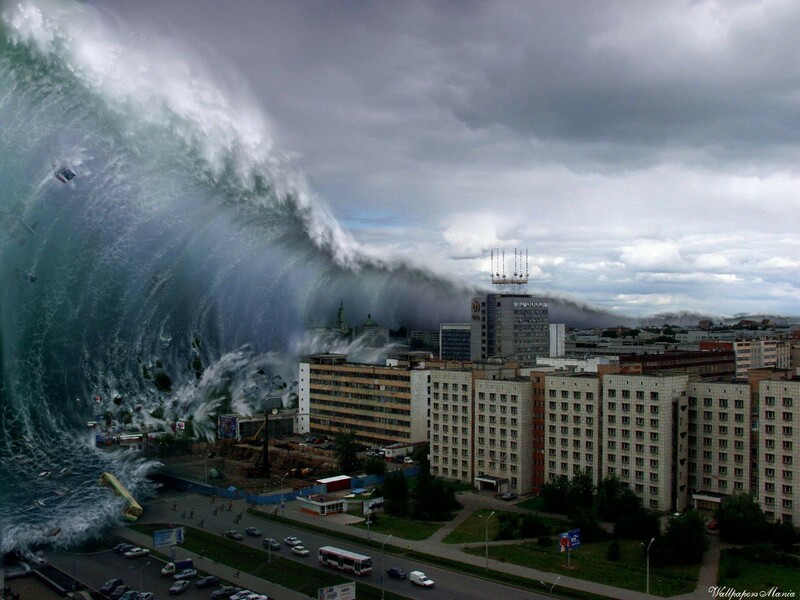 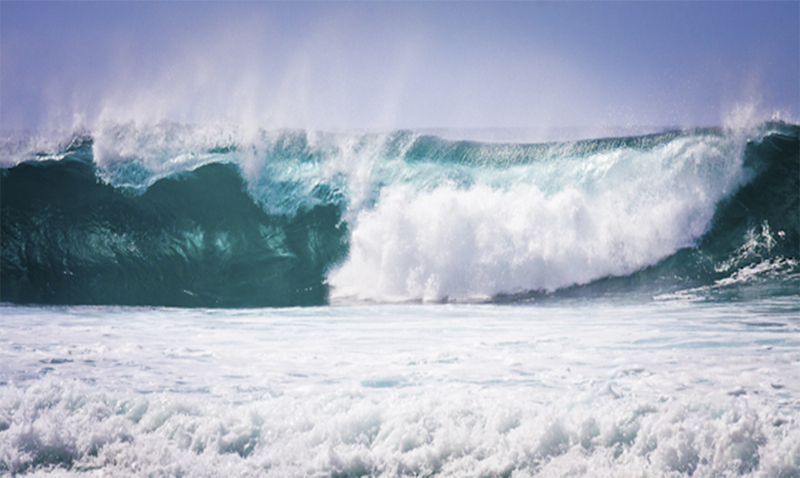 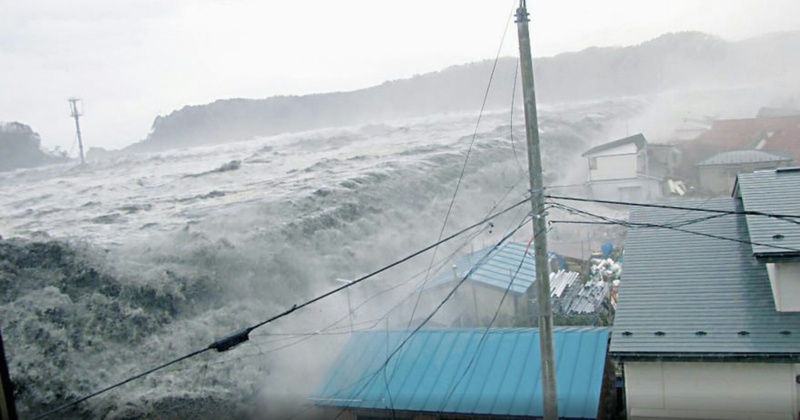 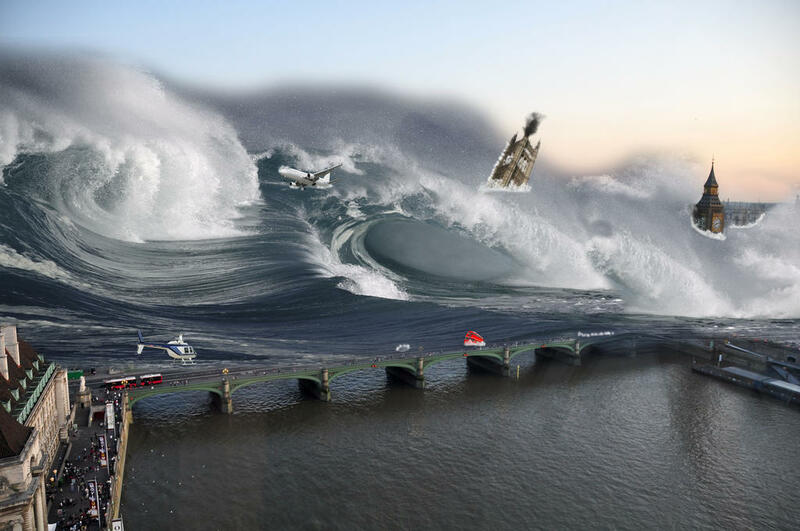 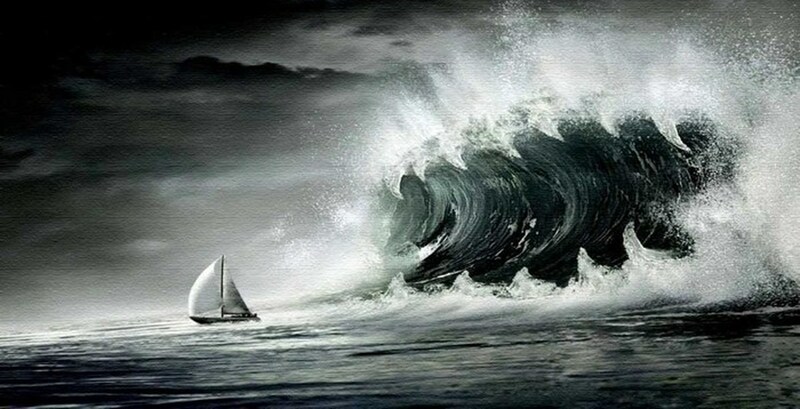 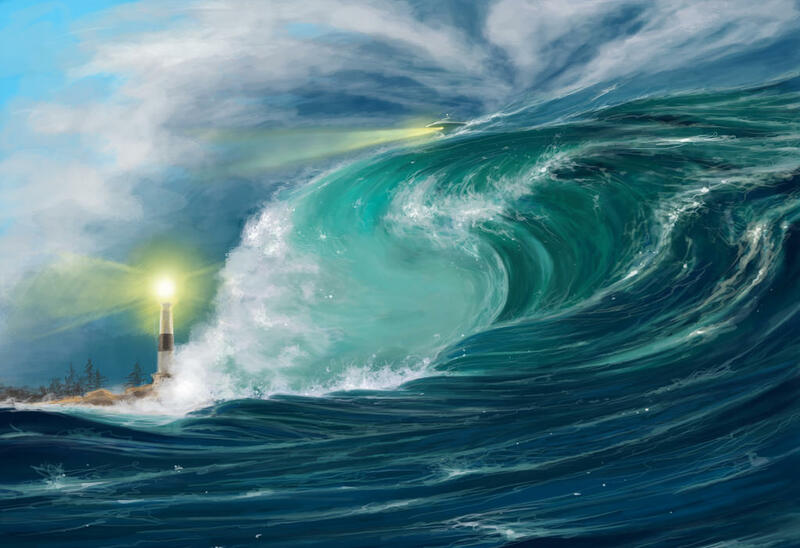 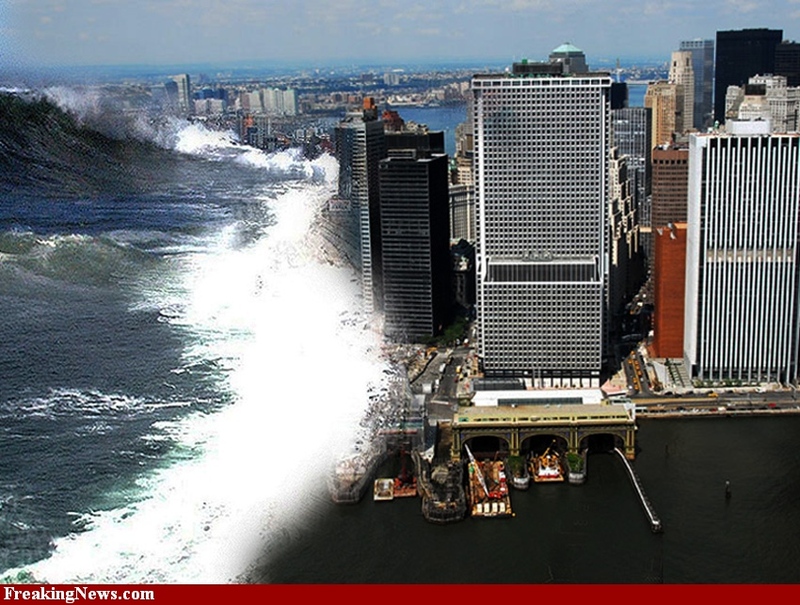 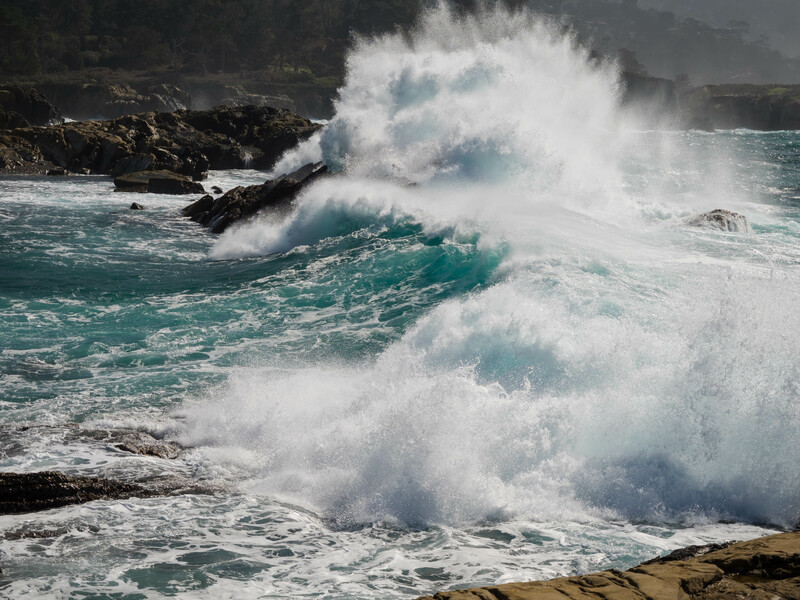 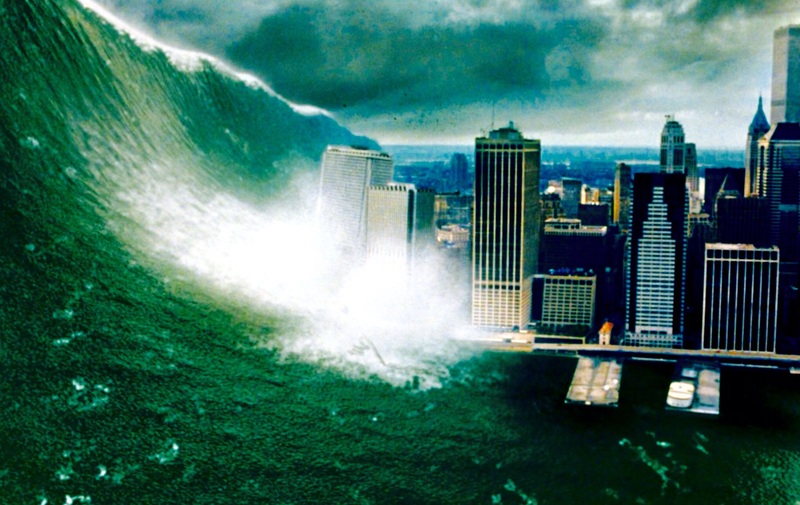 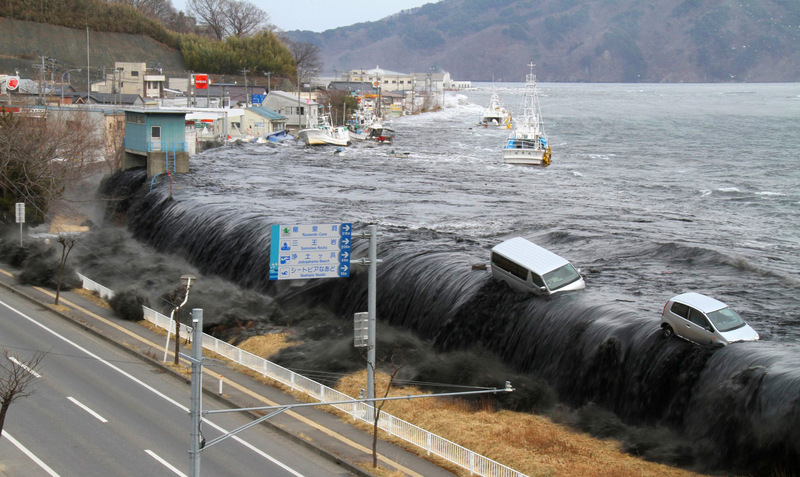 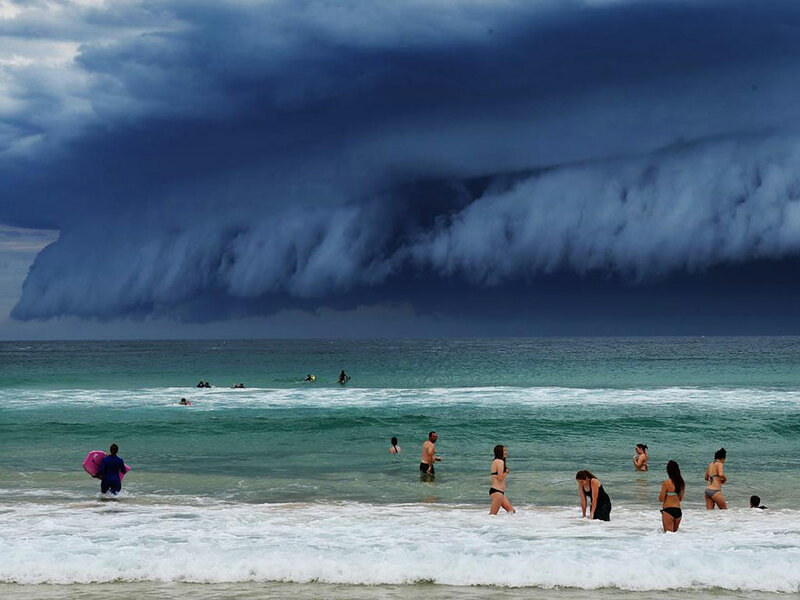 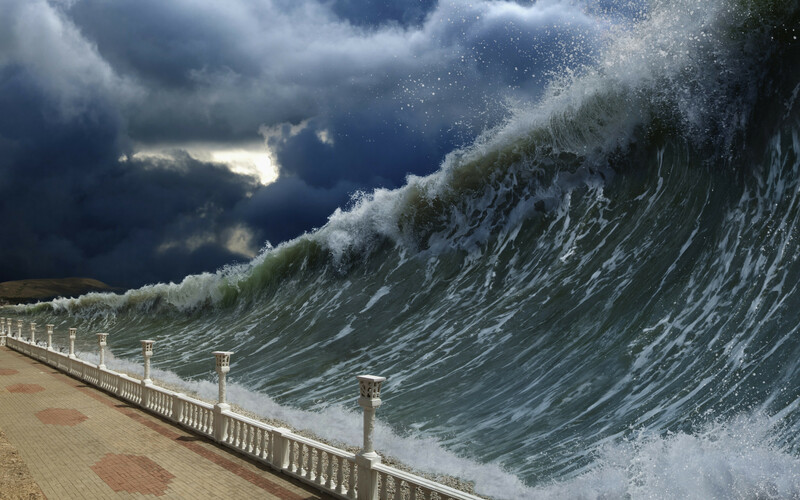 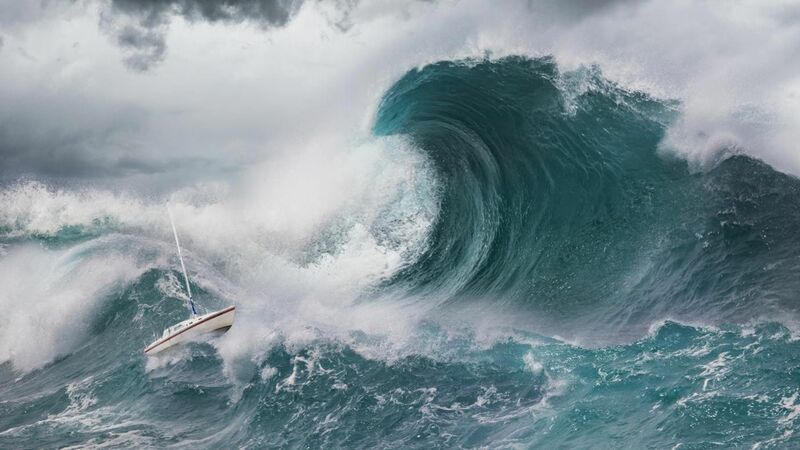 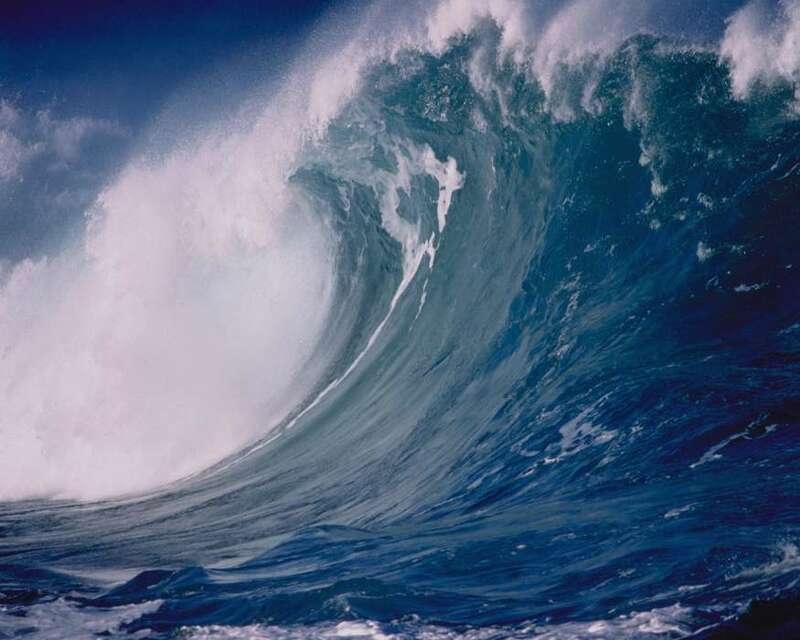 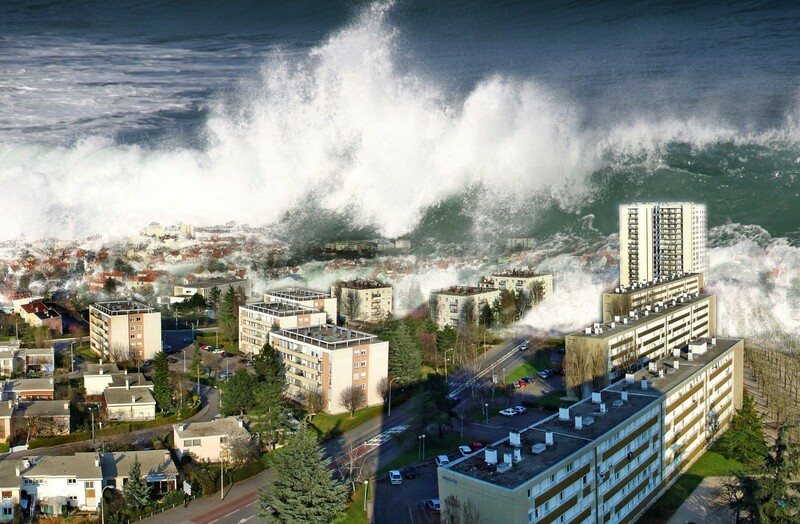 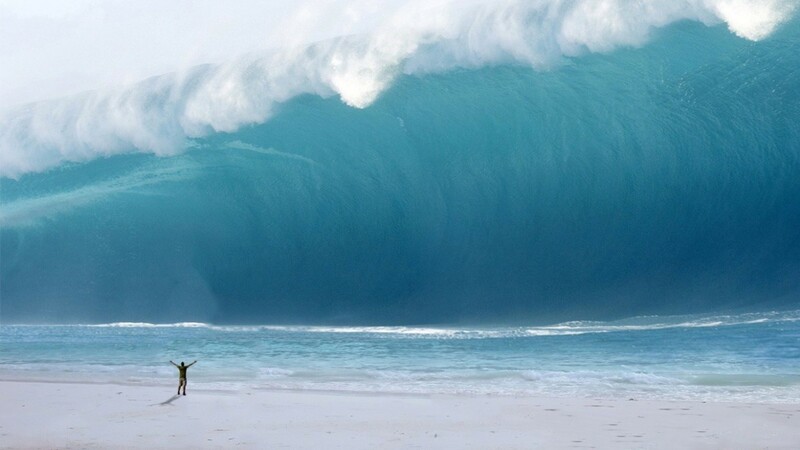 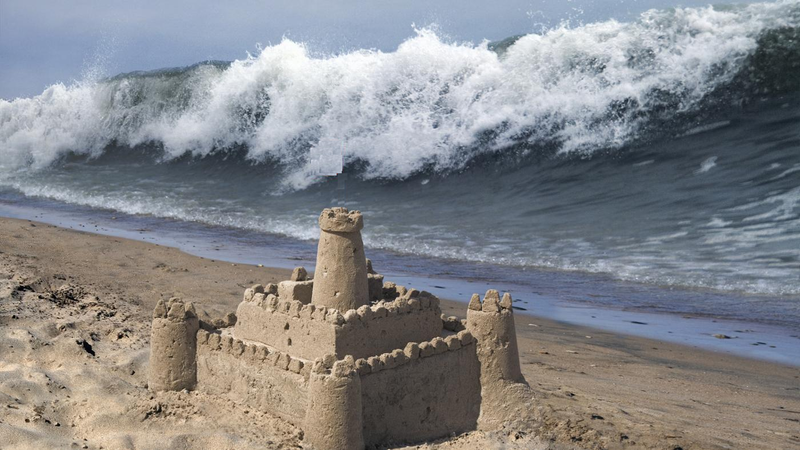 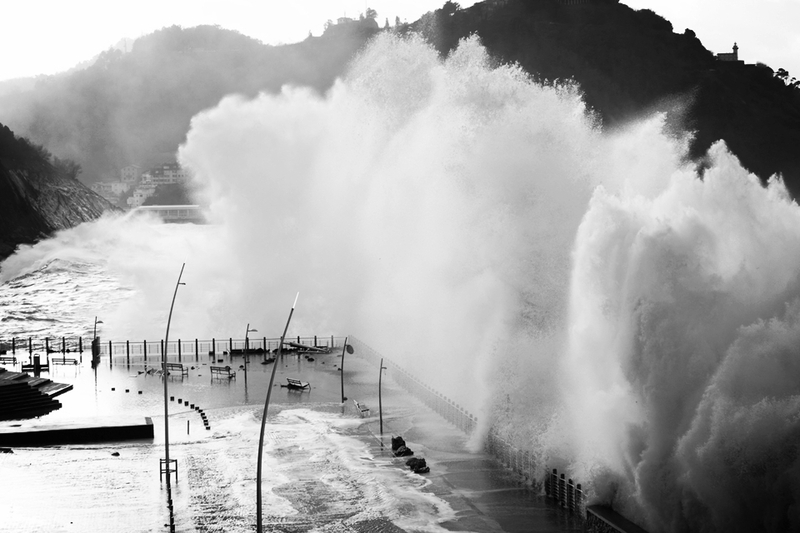 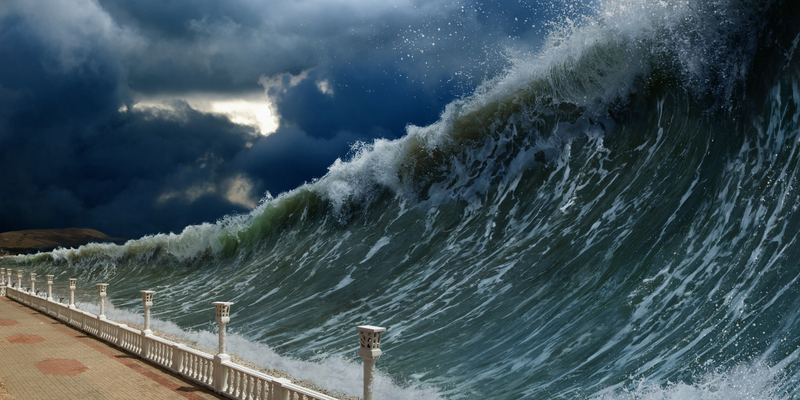 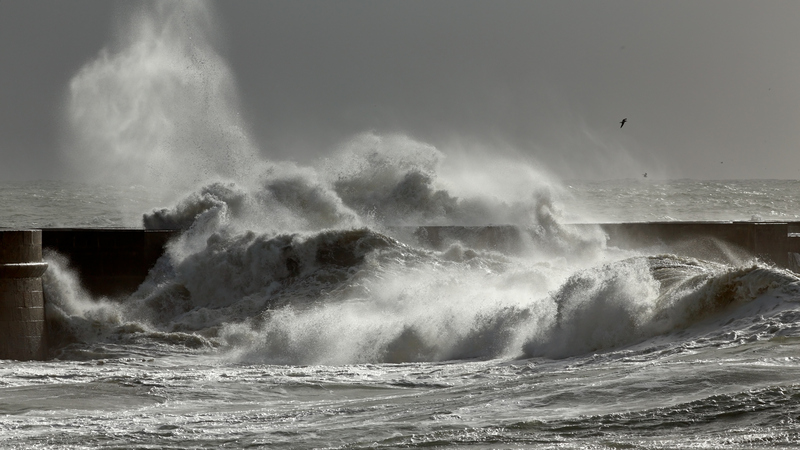 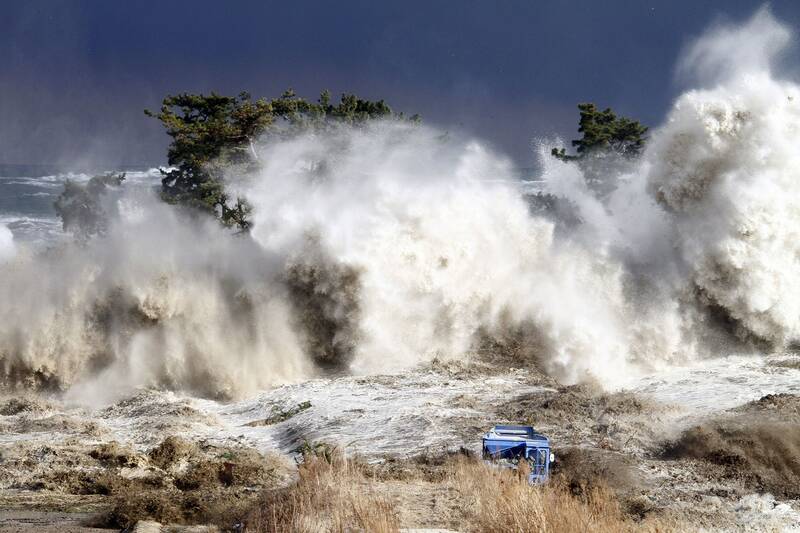 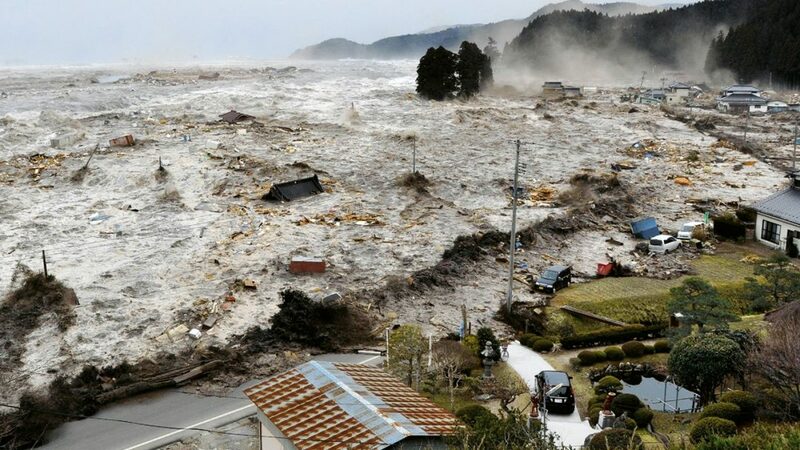 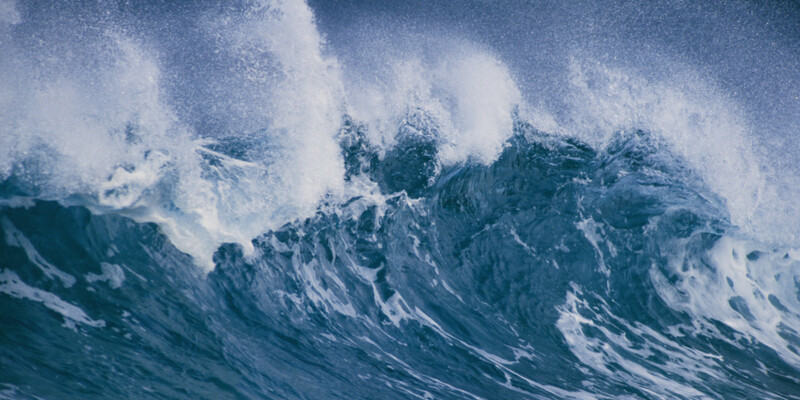 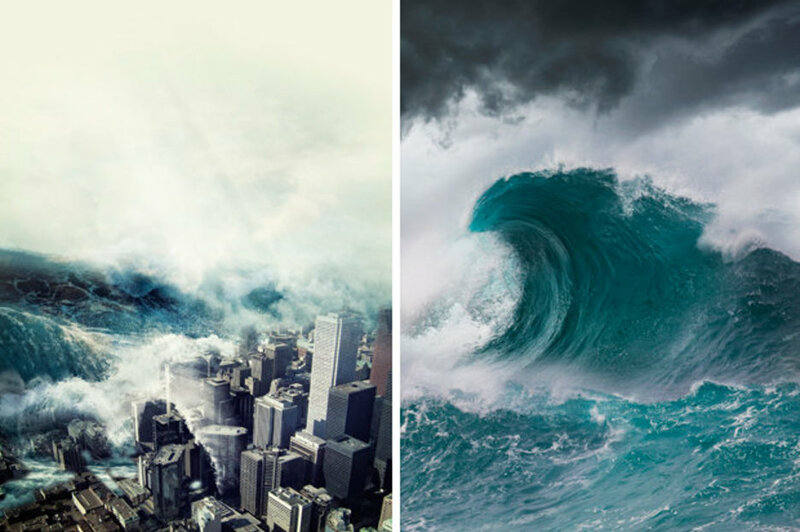 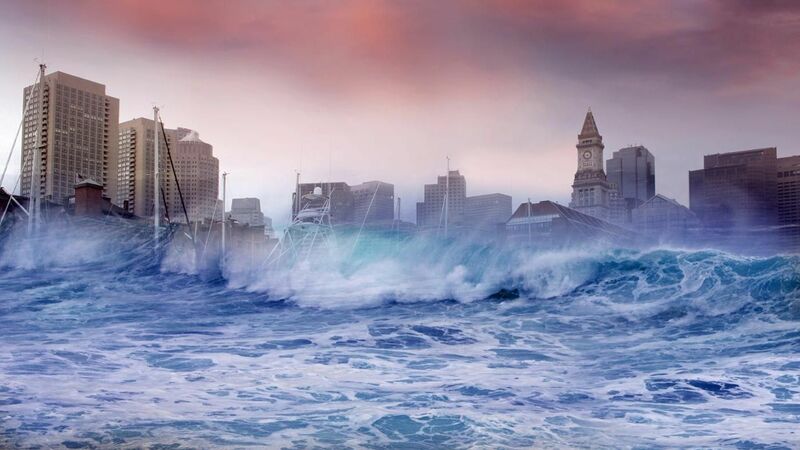 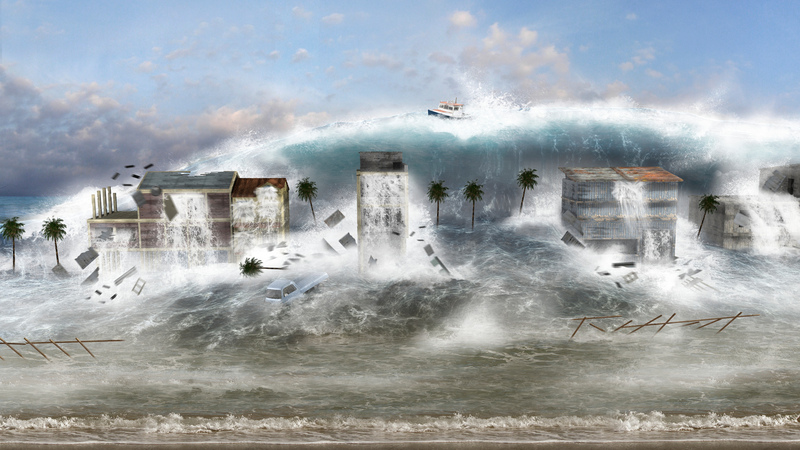 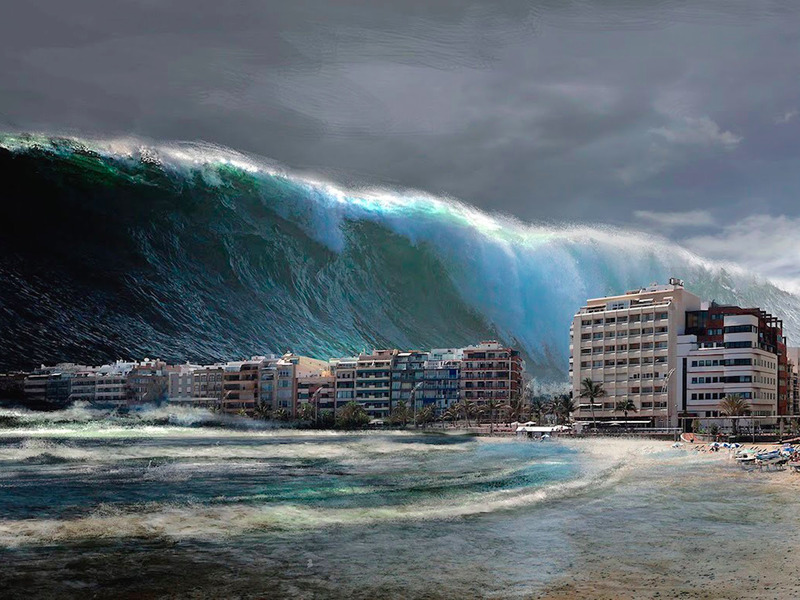 Unlike normal ocean waves, which are generated by wind, or tides, which are generated by the gravitational pull of the Moon and the Sun, a tsunami is generated by the displacement of water.